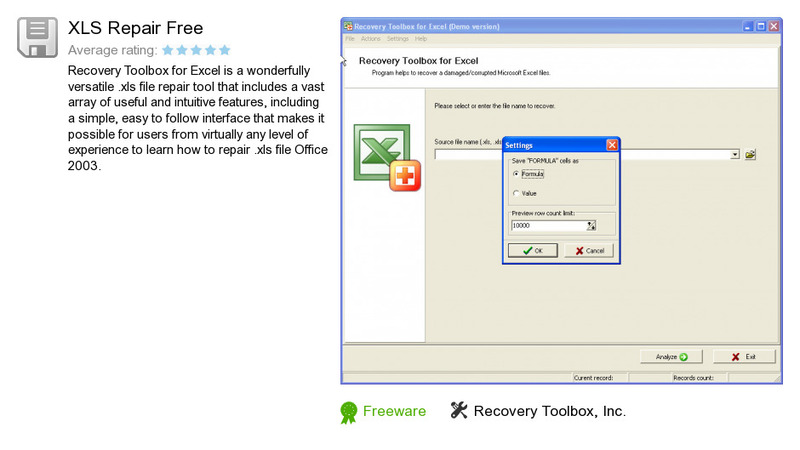 XLS Repair Free is a product developed by Recovery Toolbox, Inc.. We know of versions 1.1, 1.0. Version 1.1.15.61 is downloadable at our site. XLS Repair Free distributive has a size of 4,598,914 bytes. Recovery Toolbox, Inc. also publishes PDF Fix Toolbox and RAR Recovery Toolbox.